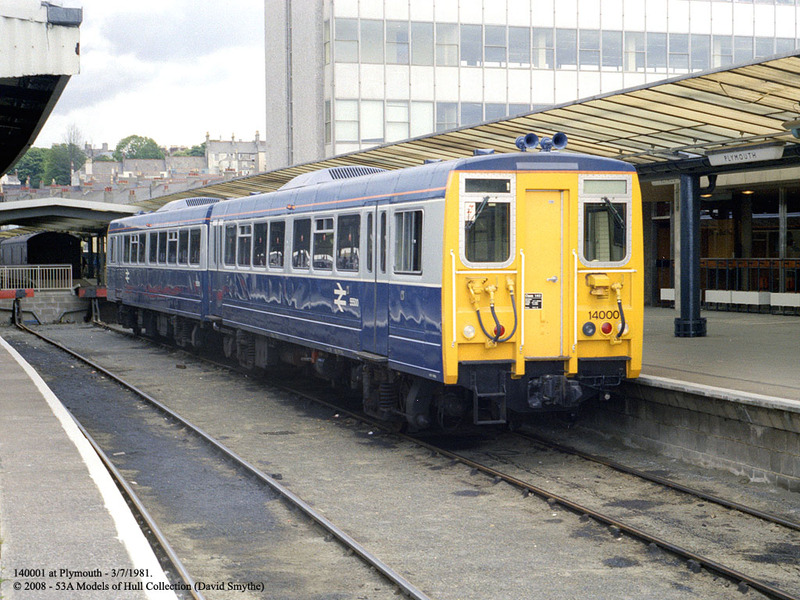 British Rail/Leyland prototype 'Pacer' dmu 140001 at Plymouth 3rd July 1981. Thanks 53A Models for permission to use this shot of the prototype Pacer DMU at Plymouth in 1981. I had absolutely no interest in trains at that time so all of this passed me by. Thanks to the internet we can now all have access to great shots like this. For more quality railway photos visit the 53A Models Flickr collection. Finally - I recommend you have a look at the PTOTPA post below for the new look Tavy Link bus. I only saw it for the first time on Sunday so it was good to see a decent photo on his site. My knowledge of railway dmu's is slight but was this the dmu that had two wheels at each end, not bogies, and could not cope with the sharp curves of the Bere Alston to Gunnislake line? Perhaps someone knows?